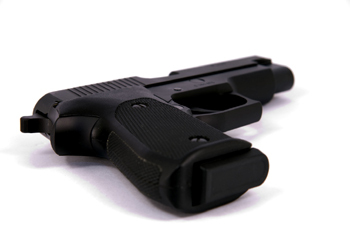 An Elk Grove juvenile probationer was arrested yesterday morning for allegedly stealing a handgun. Through investigative efforts Elk Grove Police developed information that led to identification of a 17-year old Elk Grove male as the suspect in the theft of a handgun and ammunition from a vehicle. A records check also found the suspect was on probation. A probation search of the suspect's resident on the 10100 Atkins Drive led to the discovery of the stolen property. The juvenile was taken into custody and booked into juvenile hall.